Franny's story: From puppy factory — to freedom. 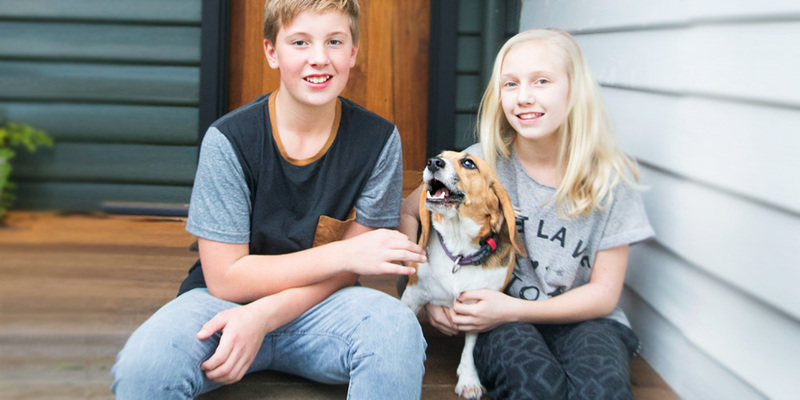 How a gentle little beagle escaped from the horror of a puppy factory — and was adopted into the loving arms of a Melbourne family. 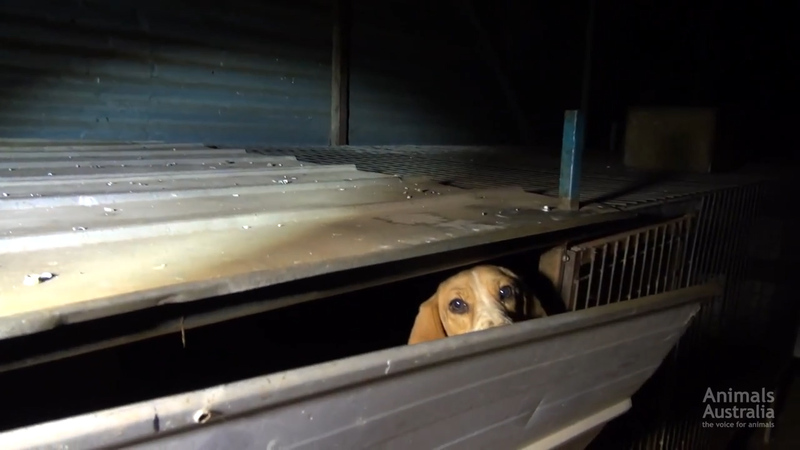 When our investigators entered one of Australia's most notorious puppy factories — what they found can only be described as hell on earth for dogs. In one of dozens of filthy cages, they found a Bambi-eyed little beagle. At the tender age of two-and-a-half, this small, traumatised dog had already been forced to give birth to four litters of puppies. 'Life' as a breeder dog is anything but joyful, and kindness is an unknown concept. At the Pyramid Hill puppy factory, Franny was kept in a wire-floored cage, churning out puppy 'products' for sale online and in pet shops, in the same inhumane factory farm conditions as an abused battery-caged hen, or a gentle mother pig forced into a 'gestation' crate. 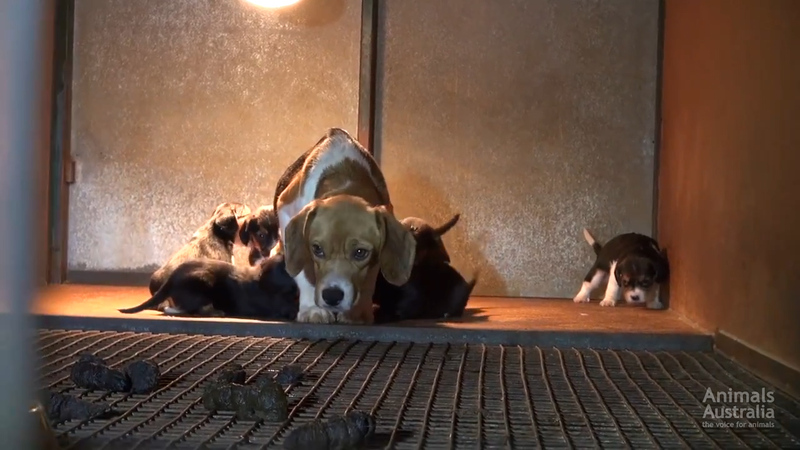 Inhumane puppy farmers keep dogs — and customers — in the dark. The best way to avoid puppy factory cruelty is to 'adopt, not shop'! Franny didn't truly live in a puppy factory — her existence was one of suffering and extreme deprivation — but she did survive being trapped in one. Thanks to the tender mercies and rehabilitation offered to her at Beagle Rescue Victoria, Franny was nursed back to life, and ready to take her first steps out of a cage — and into the big, wide world. And right there waiting for her was Franny's new family: the Hunter's. Her new, caring 'pack' is helping Franny to learn to trust humans, and experience just how good life can be when it's full to the brim with companionship, comfort — and kindness. She's now loved and valued for who she is, not how many puppies she can produce. This sweet little dog, who spent the first lonely years of her life cowering in a miserable, dark cage, now happily trots beside Mackenzie and Benjamin as they walk to school with their mum, Sharon. 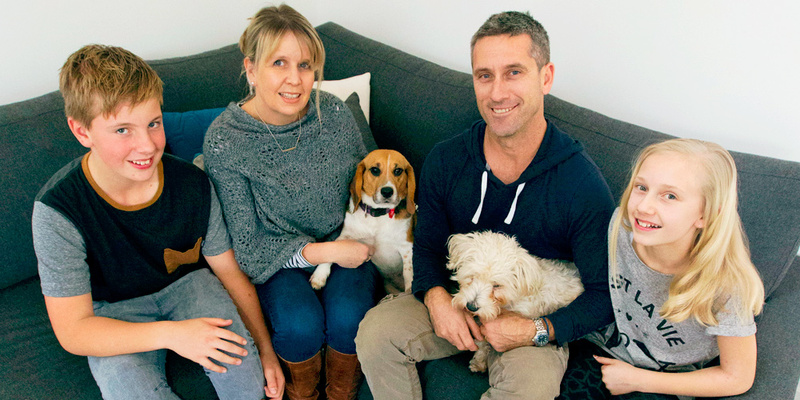 The old saying might be "it takes a village to raise a child" — but in this version it's the whole quiet, leafy suburb that the Hunter Family call home that's invested in raising Franny! Friendly pats on the head from neighbours, or sneaky treats at the corner café, are part of Franny's daily routine now. Everyone knows the story of her imprisonment — and rescue — and are determined make up for lost time by helping her live life to the max. Pyramid Hill, the puppy factory that imprisoned Franny — along with hundreds of other dogs — was exposed by Animals Australia investigators in 2013. Acting on our evidence, RSPCA Victoria held their own investigation, which led to a landmark court case. The owners pleaded guilty to 240 charges of animal cruelty, and their cages will never again hold a terrified, abused dog like Franny. But there are still dogs out there who need our help. Simply by sharing Franny's story, and pledging to adopt your next best friend, you can join the quest to create a kinder world for all dogs.